For the caramel, combine all ingredients in a high speed blender or food processor and process until smooth. Add a little more water at a time if it seems too thick. Set aside in a bowl. 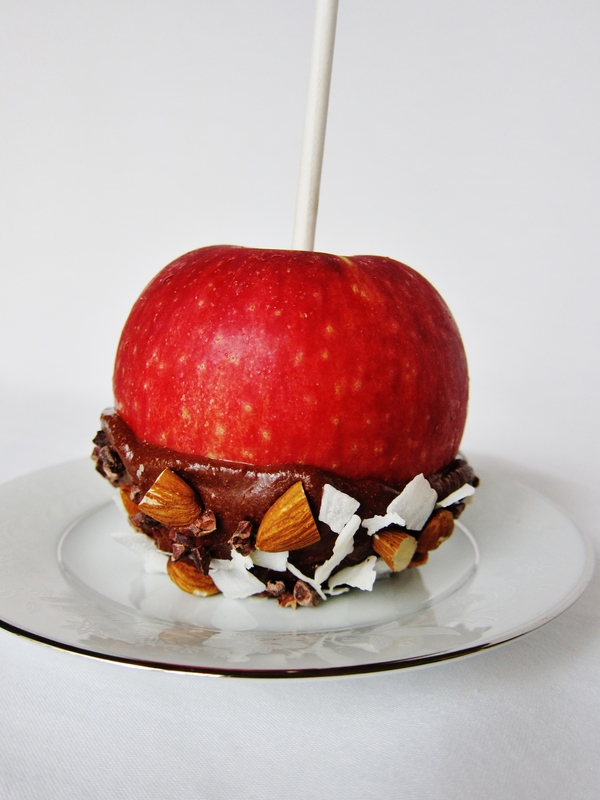 Stick the sticks into the apples, then turn them upside down, and spread the chocolate caramel over the bottom half. Sprinkle with the coconut, cacao nibs, and almonds, and press in to adhere.